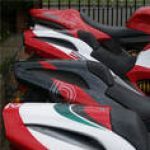 Bimota Forum :: View topic - Any Pilots On Board????? Posted: Sat Jul 27, 2013 8:30 pm Post subject: Any Pilots On Board????? I'm not sure if this link will work. but, here goes. It is titled: "When It's Not Your Turn To Die"
Heeheehhee....... Yeah, what a "show off"!!! !